Other than the mostly unworkable scenario of going Amish and completely detaching from the grid, you won’t find a more sound method of protecting your online information and privacy than with a top-quality VPN provider. With cyber-thieves, hackers and online snoops always lurking, you need the talents of a quality VPN provider like TigerVPN to shield everything you do on the web. 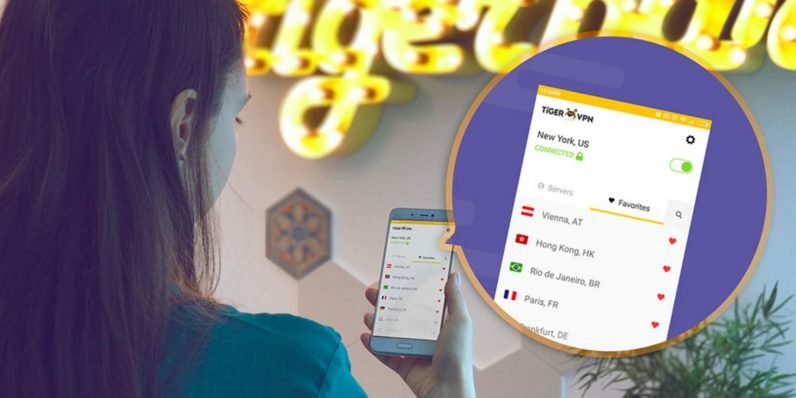 Right now, you can lock in a lifetime of TigerVPN service at a ridiculously low $39.99 fee from TNW Deals using the code TIGER10. Encircled by TigerVPN’s 256-bit SSL military grade encryption tunnel, you can explore all corners of the web with a masked IP address that offers complete security, even when you’re logged into a dodgy public WiFi network. With TigerVPN, you’ll have 15 worldwide 10Gbps server nodes working for you to get fast and private internet access without any speed dampeners slowing you down. Your subscription offers full bandwidth health detection to make sure you’re always running at peak levels, even while you’re bypassing pesky location restrictions. Using IP-Mashing technology, your cyber footsteps will be untraceable to anyone, offering you anonymity of your ISP. In addition to all that protection, this one-time-only price also helps you avoid nagging monthly bills – just one $39.99 fee grants all your digital data full security forever.